“At ICUEE 90 percent of the equipment will directly help us on our sites. The fact that we can get on the machine is a huge benefit. It’s different from any other show we go to,” said Kandziora. Going from selling directional drill rigs and underground equipment to running your own utility construction business requires a big leap of faith and a lot more. Scott Kandziora shares what he's learned since he co-founded Milwaukee-based Underground Specialists in 2000. Kandziora sold for Ditch Witch for five years out of college. 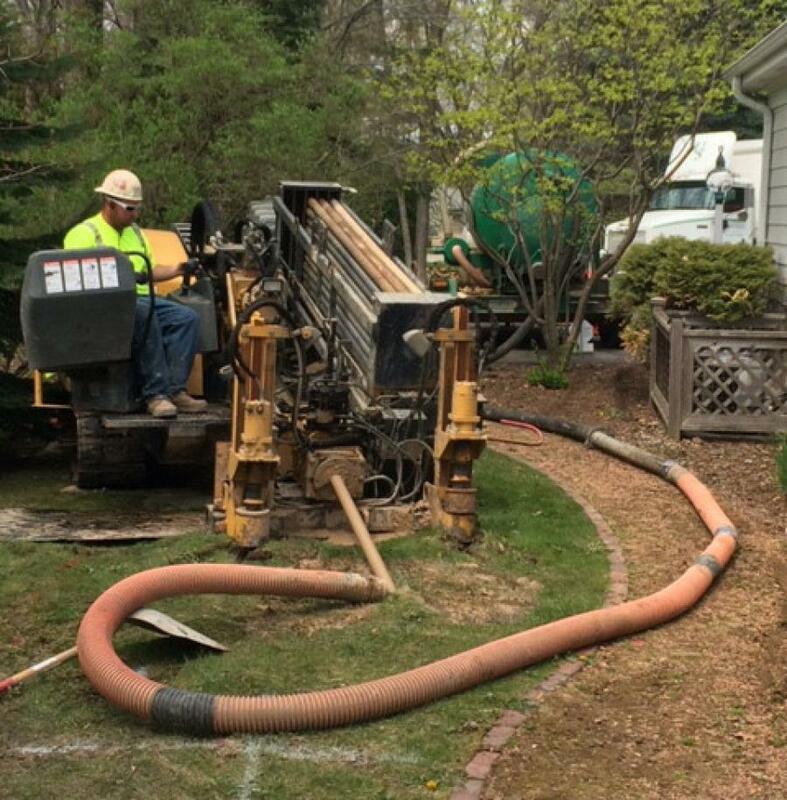 Self-contained directional drilling equipment had just begun to transform the boring industry. "I grabbed on to the new technology because it gave me credibility with veteran customers," said Kandziora. He trained crews on the rigs that he sold and saw a lot of people were not doing it right. He saw an opportunity to make money by doing things the right way. Kandziora convinced Jerry Peterson, a former Ditch Witch principal, to go into business with him. Peterson had the industry contacts in Wisconsin and the funds needed for the start-up. "He really mentored me," said Kandziora. The two worked together until Peterson retired in 2004 and Kandziora bought his share of the business. When Underground Specialists first launched, installing fiber optic cable for telephone companies was the primary source of income. By 2002, that market had dried up. "It forced us to go into the sewer and water market, where there was a lot more to learn about drilling," said Kandziora. When the government began subsidizing geothermal systems in the late 2000s, Underground Specialists pursued that market. They gradually added electrical and vacuum truck work to the mix. In the last five years, the company expanded work in electrical, adding additional equipment and crew members to complete parking lot bases. "Diversification helps boost your sales," he said. "When one market is down, another tends to perform well." Before Kandziora owned his own company he witnessed a lot of utility construction workers who just didn't care about their work. "I never wanted to hear that from my employees," he said. His solution was to create a profit sharing system that allows employees to reap the benefits that come from working above and beyond on the job to help the company be profitable. "It promotes the attitude I want," he said. When the company was too small to be able to provide health insurance for employees, he provided additional pay as compensation. In today's tight labor market, Kandziora is more inclined to hire less experienced workers and train them. "They don't come with problems or bad habits learned from other contractors," said Kandziora. Among his crew are a former landscaper, truck driver, roofer and a machine hand that are now all underground operators. Three supervisors are responsible for training the new hires on the drill rigs. "I see a lot of small business owners sitting at home and waiting for the work to come," said Kandziora. "I don't think you can do that in this market. You have to be prepared to work long hours." Kandziora believes it's important to complete every bid opportunity. "It's easy to drop the ball and say, I'll bid the next one." Expanding from one crew to two crews in 2017 was a huge step for Kandziora's business. "As a new business owner it took me a long time to let go of the reins, to not be on every jobsite, controlling every aspect of it. It's very difficult to let go and trust guys to keep the good name that you have been building. I finally realized that if I didn't, I wouldn't be able to sell the company when I wanted to retire," said Kandziora. Finding and keeping good employees becomes even more important when you grow. Kandziora recognizes the importance of staying up-to-date on technology but admits with a growing company, it's difficult to find time for reading. "Attending ICUEE is my opportunity to catch up on what's new and what's out there and it gives the guys a team-building experience," he said. The entire team is included because each person has their own ideas of what might help on their projects. At the next ICUEE show he will be paying special attention to vacuum trucks, drill rig electronics, drill rig innovations and trucks. "At ICUEE 90 percent of the equipment will directly help us on our sites. The fact that we can get on the machine is a huge benefit. It's different from any other show we go to."